Do you want to join the team? Great, you can apply now! Founder NSP & Architecture graduate: Oxford Brookes, Brighton and Westminster. NSP takes your privacy very seriously. NSP endeavours to take appropriate technical and organisational measures in processing Personal Data in accordance with the Data Protection Act 1998 and the General Data Protection Regulation (GDPR) (EU) 2016/679. Personal data means any information relating to an identified or identifiable natural person. This includes, for example; your name, telephone number, address and e-mail address. 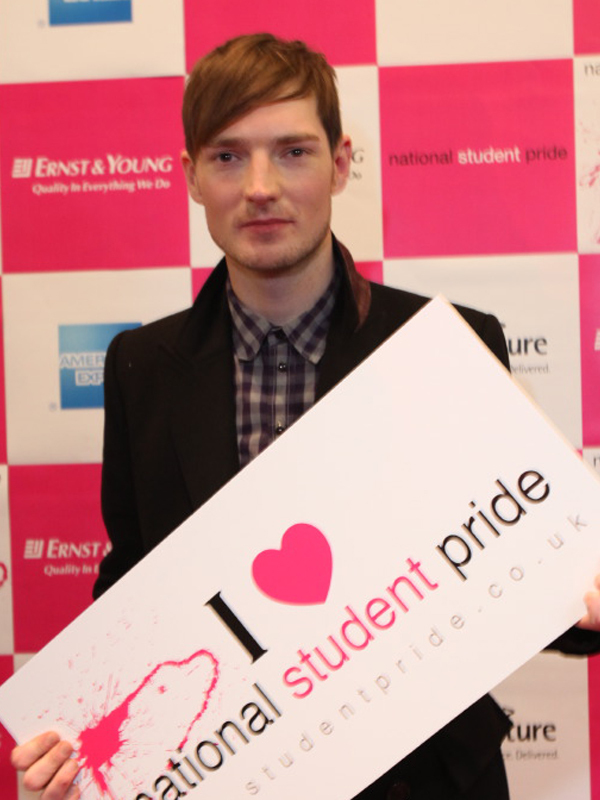 We collect Names, emails and questions about your studies and you when you purchase or register for a ticket for National Student Pride or when you click to sign up on our website. How do we store and process User Data? The Data processing is carried out using computers and/or IT enabled tools, or paper forms at the event following organizational procedures and modes strictly related to the purposes indicated. In addition to the Data Controller, in some cases, the Data may be accessible to certain types of persons in charge, involved with the operation of the site (administration, sales, marketing, legal, system administration) or external parties (such as third-party technical service providers, mail carriers, hosting providers, IT companies, communications agencies) appointed, if necessary, as Data Processors by the Owner. The updated list of these parties may be requested from the Data Controller at any time. The Data is processed by members of the committee or staff and in any other places where the parties involved with the processing are located. For further information, please contact the Data Controller. The Data concerning the User is collected to allow Student Pride to improve and learn and monitor diversity and inclusion. This type of service lets you contribute to research undertaken by us to allow us to improve the event, this service will not collect sensitive data about a User without them knowingly or explicitly consenting to provide it. SurveyMonkey is an online survey platform. If you have given us your email address we will add you to our mailing list, this will enable us to tell you about events and work we are doing. We store email addresses in Mailchimp and in our ticket host website Ticket Tailor or Eventbrite. If you have given us any information on you, you can also request that we erase any personal data we hold about you. This does not include any data we are obliged to keep for administrative, legal, or security purposes. Whilst we go to great length to ensure any confidential information remains protected we cannot guarantee the security of data sent over the Internet. You are responsible for keeping your user details confidential and at any moment we will request any passwords or access codes so please don’t trust them to anybody asking.